In his position as Managing Director of the Crescent Group of Companies, Badr Jafar also serves as CEO of Crescent Enterprises and as Chairman of Gas Cities LLC and of Pearl Petroleum. Jafar also sits on the International Advisory Board of Dana Gas PJSC. In addition, he has a variety of international, industrial, and commercial interests, including serving as a board member of Gama Aviation (UK) and CEO of Crescent Aviation (UAE), serving as Vice Chairman of Gulftainer Company Ltd, and as a board member of Enshaa PSC (UAE). He also serves on the board of directors of Abraaj Capital (UAE) and GrowthGate Capital (Bahrain). 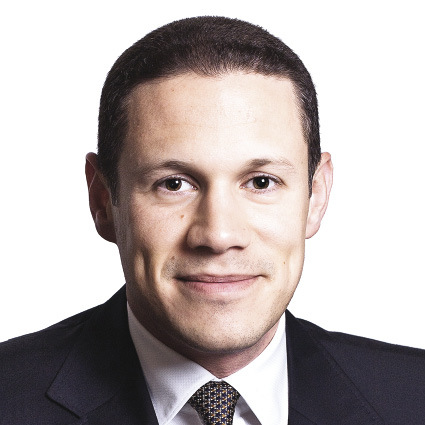 Jafar attended Eton College and graduated from Cambridge University with a Master’s degree in Engineering, followed by a business degree from the Judge Business School of Cambridge University, where he is currently a member of the International Advisory Board. He is an active member of the Young Presidents’ Organization and was named a Young Global Leader by the World Economic Forum, and is Vice Chair of the WEF Energy Security Council. Crescent Petroleum (www.crescent.ae) has been operating as a regional upstream oil and gas company in the United Arab Emirates for 40 years. It began its activities in the early 1970s and was the first regional, independent, privately owned Middle Eastern petroleum company to engage in the acquisition, exploration, and development of petroleum concessions, as well as the production and sale of crude oil, petroleum products, and natural gas. A particular area of focus for the long-term growth of Crescent Petroleum’s business is the development, marketing, and utilization of natural gas assets in the region. Would you provide a historical overview of Crescent Petroleum and its existing operations? Crescent Petroleum owns and operates all of the oil and gas interests of the Crescent Group, a family-owned and run business that started operations in the early 1970s. Our headquarters have always been in Sharjah. The Group today is run by my brother Majid and me. As a privately owned petroleum company, we differentiate ourselves by moving swiftly and doing business with a highly entrepreneurial mindset and a clear vision of where the energy markets are moving. Upon our inception in 1972, we were fortunate enough to discover and subsequently operate the giant Mubarek field under a concession agreement with the Government of Sharjah, which produced over 100,000 barrels of crude oil at its peak. During the 1980s and 1990s, we also held a number of other upstream interests globally through operating concessions that included Canada and Argentina in the Americas, the former Yugoslavia and France in Europe, Tunisia and Egypt in North Africa, and Oman and Yemen in the Arabian Gulf. In the midstream sector of the business, Crescent Petroleum pioneered the first two cross-border gas pipeline projects in the Middle East region, one of which was between the Emirate of Sharjah and Dubai, which started receiving a reliable long-term gas supply in the 1980s, which contributed to the development of its economy. Another first for Crescent Petroleum was our recognition of the need for a private sector natural gas company with a public ownership across the Middle East and North Africa (MENA) region. As a result, in 2005, Dana Gas was brought to life with approximately 300,000 shareholders from across the entire region. Today, it is a leading name in the regional energy sector, and is successfully developing integrated natural gas projects across the Gulf region and North Africa. Crescent Petroleum, together with Dana Gas, was also one of the first companies to foresee the massive hydrocarbon potential of the Kurdistan region of Iraq. We established a presence in the country in 2007 to solve the local government’s urgent need for gas to fuel its new power stations. Our combined investment of over $1.2 billion into this project, which was made on a very timely and strategic basis, has saved the local government over R$10 billion to date through not having to purchase diesel as an alternative fuel. We have saved the local government a great deal of money, which it has been able to invest elsewhere as well, as ensuring that our pipelines deliver the gas that generates a continuous supply of power to more than five million inhabitants, and generating major environmental benefits at the same time. Where are the growth opportunities for Crescent Petroleum? A major growth in our established operations is currently driven by our onshore natural gas exploration in the Emirate of Sharjah where we operate a concession area of 1,250 square kilometers in partnership with Russia’s giant Rosneft. In addition, our integrated gas project in the Kurdistan region of Iraq, where we are planning to double the production rates of natural gas and natural gas liquids over the next few years, presents tremendous production growth potential. This project will provide a significant boost to the prosperity of the local Iraqi economy while positioning us towards the most important phase, namely developing the gas export infrastructure to bring Kurdish gas to Turkish as well as European customers. We are also proud to be partnered with our strategic European partners – OMV of Austria and MOL of Hungary – who were both pioneers of the Nabucco gas pipeline, which envisaged taking large volumes of gas from the Caspian and the Middle East into Europe. Despite the political complexities in Lebanon, we are still very confident in the country’s potential with respect to its hydrocarbons, and we are a prequalified bidder for the tender that is scheduled to take place later this year. The same applies to Yemen. We are also in discussions on a number of operatorship and investment opportunities across the MENASA region as well as in sub-Saharan and East Africa – we also see these as high potential exploration frontiers. Crescent Petroleum and Crescent Enterprises recently announced large expansion plans with Russian companies. What is your outlook for business in that region? There is significant untapped economic potential for investment and trade between Russia and the MENA region, and unlocking that potential will be of immense mutual benefit for both of our regions. Russia is a land of unlimited opportunities in resources, infrastructure, and services and the growth can be jointly fueled by foreign investors and the private sector. So I believe in the benefits of foreign investment into Russia, as well as establishing a closer relationship with Russian companies to help foster the growth between our two resource-rich regions of the world. In terms of working with Russian companies, Rosneft oil company is our partner in the Sharjah onshore concession. We also have a strategic alliance with Rosneft to develop projects across the MENA region. Looking at opportunities within Russia itself, the other main subsidiary of the Crescent Group, Crescent Enterprises, owns a company called Gulftainer, which today is the largest privately owned port operator in the world in terms of operated volumes. Gulftainer is looking to expand its geographic footprint by investing in Russia’s underdeveloped Ports and Logistics sector, specifically the management of container terminals, logistics partnerships, and inland depots. Another one of Crescent Enterprises’ subsidiaries, URUK Power, is active in the power sector and is looking at power opportunities alongside Inter RAO UES, one of Russia’s largest energy companies. Would you provide an overview of the Dana Gas business? Dana Gas was created to recognize the need for a regional private sector, publicly listed natural gas company with an ownership base across the MENA region. The idea and planning that created Dana Gas was undertaken within Crescent Petroleum many years prior to its formation in 2005. That it was an idea whose time had come was clearly vindicated by the blue chip regional corporations and family houses that included members of the royal family, who became part of the founder group as well as the highly successful IPO, which was oversubscribed some 140 times raising $78 billion in the process. Today, Crescent Petroleum still owns 21 percent of the company and is its largest single shareholder. 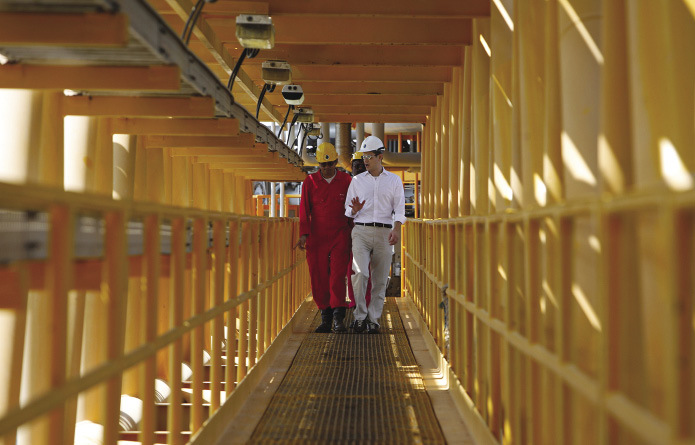 Dana Gas has become a byword for excellence in the natural gas industry and has raised the standard for industry operations in the Middle East region. It currently has major operations in Egypt where it is the sixth largest oil and gas producer in the country, as well as being our partner in the Kurdistan region of Iraq. It is also active in the offshore exploration for gas in the UAE. Would you highlight your corporate governance efforts and why they are so critical to your business? As leaders around the world look toward rebuilding and reinvigorating the fractured global economy, the relationship between good governance in the private sector and sustainable economic growth is more important than ever before, especially when considering the massive youth unemployment challenges we are facing. Corporate accountability and transparency are essential in generating and preserving value, as well as in building a healthy and competitive global and regional economy, in turn creating much-needed jobs. The Pearl Initiative is a private sector-led, not-for-profit organization that I founded to improve transparency, accountability, and business practices in the Arab world. We developed the organization in cooperation with the United Nations Office for Partnerships, as it is a gateway for collaboration with the UN across a multitude of international markets and, as such, complements our strategy perfectly. Through this partnership, we aim to instigate a corporate culture of transparency, accountability, and good governance throughout the Arab region, in order to positively impact the business environment and foster competitive economic growth, sustainable social development, and job creation. Creating a culture of good corporate governance and a sense of strong business ethics is vital to every company, regardless of whether it is in the private or public sector or where it is based in the world. That said, the application of governance practices cannot be applied in a one-size-fits-all approach. If the governance standards are to be fully embraced and adopted globally, we must develop standards or models that are culturally and regionally relevant. Since establishing the Pearl Initiative in 2010, we have developed a strong regional membership network of business leaders committed to driving joint action, sharing knowledge, and providing a platform for the sharing of best practices. In engaging business leaders at the highest level, we will promote a culture of corporate accountability and transparency through leadership by example. How has the Arab Spring impacted the industry, especially in terms of security? The industry’s first priority must always be the health and safety of its employees, and so security considerations will always be central. As to the impact of the Arab Spring, instability has curtailed production in those countries worst impacted – namely Libya and Syria – reducing global oil supplies by approximately 1.3 million barrels per day in aggregate. This has helped to keep international oil prices at around $105 to $110 per barrel. But if you look at the oil and gas production from most countries in the region, they have been largely unaffected; oil and gas production in Egypt – where Crescent Petroleum’s associate Dana Gas operates for example – has not been cutback due to political events. The industry, the public, and governments all appreciate the economic importance of this sector and put the necessary security in place to protect it and, consequently, it is one of the most resilient sectors during periods of unrest. Are you concerned with the ability to meet the growing energy demand? What type of investment will be needed in this area? Global energy demand is growing rapidly – it has risen by 50 percent over the past 20 years. This increase in energy use represents billions of people gaining access to the global economy and improving their living standards. To keep this progress going, the International Energy Agency (IEA) forecasts that energy demand might need to rise by between a third and a half again over the next 25 years. When you consider that the resources and infrastructure to supply today’s energy needs are depleting and aging, the amount of new productive capacity you need to build is even greater; in fact, you have to build approximately what we have today again, only in much less time. So there is a major energy supply challenge to deliver a good economic future. It will require huge and sustained investment – some $1.6 trillion a year the IEA estimates – however, in the context of being about 1.5 percent of global GDP; it is a large but manageable figure. It will be all the more doable if we invest as much as possible in energy R&D, as ultimately it is new technologies that offer us the best chance of meeting the supply challenge. What are your views on the impact that shale gas will have on the industry?